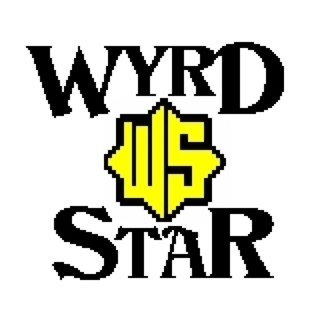 WYRDSTAR BOOKS is the self-publishing venture of writer Steph Bennion for her science-fiction novels and short stories. She has also published the multi-author science-fiction and fantasy short-story anthologies Wyrd Worlds and Wyrd Worlds II. Steph writes primarily science fiction for young adults and adults young-at-heart. 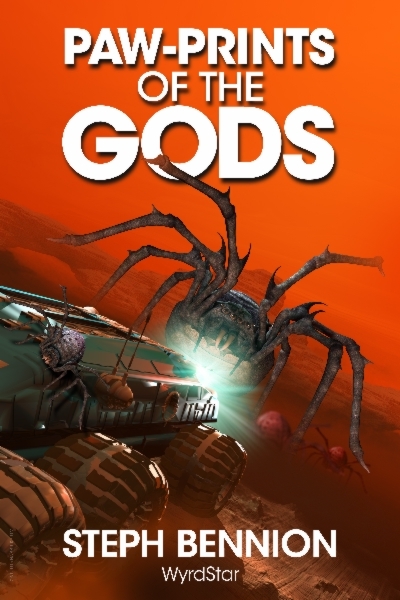 These stories can be categorised as 'New Space Opera'; tales of interstellar mystery and adventure with heroes and villains, talking spaceships, funny little aliens, horrible giant spiders and wondrous yet hopefully plausible technology. For media enquiries, please first see the Press Resources below. PROZAKVILLE RECORDS is the indie record label set up several years ago to distribute recordings by London-based folk-rock cabaret band Danse Macabre. In case you hadn't guessed, this website is also written and maintained by Steph. On an elderly PC running Windows98, using FrontPage Express. This isn't a joke. Steph Bennion was born and bred in the Black Country (to the uninitiated, that's in the English Midlands). After spending too many years living in the big bad city that is London she moved this year to Hastings, a very nice town by the seaside. Her latest novel, The Luck Of The Devil, a departure from her usual space-opera stories for younger readers, carries the by-line of Stephanie M Bennion. Steph has been writing stories and songs since an early age, most of which had some degree of oddness to them. Anyone who ever came to a Danse Macabre gig and heard such ditties as Killer Squirrels and You Stole My Heart (So I Stole Your Leg) will testify to that. (There is a video of the latter on YouTube; Steph can be glimpsed playing bass...). Her novel Hollow Moon was chosen to be a 'young adult space opera' read on the website for book-lovers Goodreads and an interview with Steph can be found here. Steph has a particular love of science-fiction, which from an early age instilled an interest in astrophysics, futuristic space technology and really cool films and television programmes like Blake's 7 (see my page!) and Doctor Who. The Worlds of Hollow Moon were written as a reaction to the dearth of alternative heroes amidst young adult bookshelves swamped by tales of the supernatural (not that there's anything wrong with a bit of fantasy now and again). For every aspiring vampire or wizard, she believes that the world needs an astrophysicist, an engineer, or at the very least someone who will one day work out how to make trains run on time. The following resources are available for press and media use. Please see the Contact page if you wish to get in touch. Steph Bennion is an author of science fiction for young adults and adults young-at-heart. Born and bred in the Black Country, she spent far too many years living in the big bad city that is London before moving in 2015 to Hastings, a very nice town on England's south coast. In addition to writing, Steph plays bass for Hastings rockers The Happy Maureens and is also a policy advisor for the UK Government, having previously worked in a bakery, a bookshop, a garage, a warehouse and for three whole months as a staff writer for a local advertising journal. 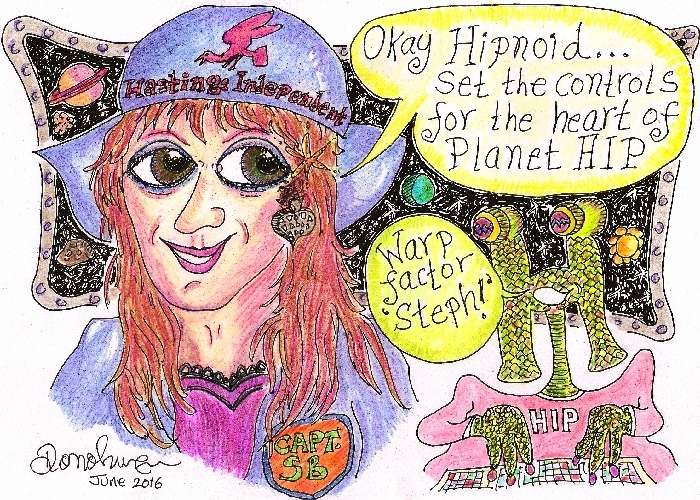 Steph has a particular love of science fiction in all its forms and avidly follows developments in real-life space technology. She describes her books for young adults as an attempt to bring together the adventurous spirit of the 'messing about in boats' books by Arthur Ransome with the futuristic science-fiction visions of Arthur C Clarke. Wider literary inspirations range from classic science-fiction writers such as Clarke, John Wyndham and Ursula le Guin to modern practitioners Peter Hamilton, Alastair Reynolds and the very funny Toby Frost (who deserves to be better known). Steph embraced self-publishing after becoming fascinated with the 'do it yourself' mentality reminiscent of 1970s punk. Much of her work is influenced by a love of music, with her latest novel The Luck Of The Devil in particular borrowing from her time as a songwriter and bassist for a London folk-prog-rock band that singularly failed to set the world alight. 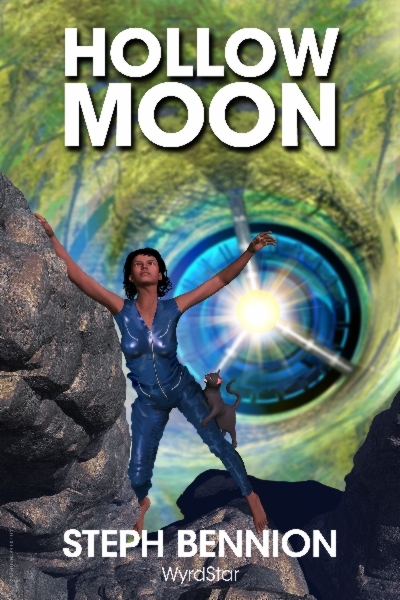 Hollow Moon and its sequels are space-opera tales of interstellar mystery and adventure, set in a 23rd Century when humanity has learned to cross the cosmos and reach the nearby stars. Readers will encounter reluctant heroes, fiendish villains, talking spaceships, clumsy freedom fighters, funny aliens, horrible giant spiders and wondrous technology, with a deft touch of humour throughout. Hollow Moon was published in 2012, followed by Paw-Prints Of The Gods in 2013 and City Of Deceit in 2016. The novels are about those who live on the fringes of society as they battle the upheavals caused by those in power. Ultimately they are tales of friendships and of how people come together in times of need. 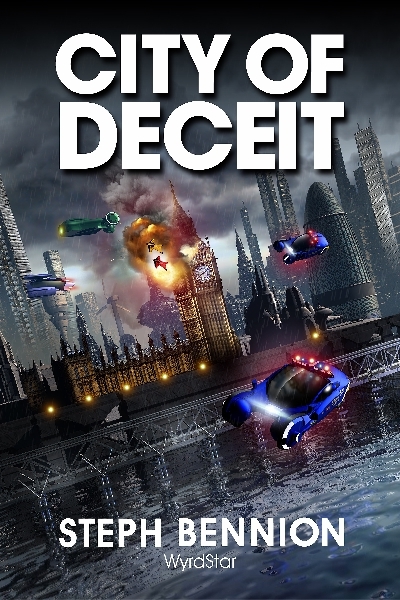 In City Of Deceit, the eponymous city is London: a dystopian sprawl ravaged by rising sea levels, social inequalities and terrible politics, its people bewitched by the hypnotic enhanced-reality of the holoverse. Surya and Zotz, the young heroes of the tale, find themselves at the centre of political skulduggery as rumours from a distant world of a troubling 'first contact' with hostile alien creatures are hijacked by those with conquest in mind. The theme is that real change comes from within, whether it is by a virus burrowing deep or driven by the human angst in a city, colony or corporation. Away from the worlds of Hollow Moon, Steph has published two books under the name of Stephanie M Bennion. The Luck Of The Devil (June 2018) is a tale of a transgender woman's battle against malign forces, a thriller of both comedy and tragedy, set in a contemporary world of superstition, psychiatry and the surreal. The Battles Of Hastings (October 2016) is a short science-fiction novella written to commemorate the 950th anniversary of William the Conqueror's victory over King Harold, featuring feisty adventurer 'Catastrophe' Jane Kennedy braving multiple realities as she tries to unravel the meddling of a rogue time traveller. 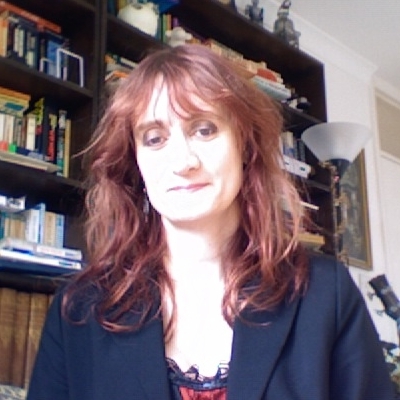 Steph Bennion’s 'WyrdStar' self-publishing imprint has also published the multi-author science-fiction and fantasy short-story anthologies Wyrd Worlds and Wyrd Worlds II, as well as Democracy: An Epitaph, a short ebook of poetry by London-based poet Lallafa Jeltz. Science fiction and fantasy are often lumped together in bookshops as the line separating the two is not clear-cut. Readers however have their preferences and what one may call science fiction, another may not. I subscribe to a certain definition of 'Science Fiction' (as opposed to 'Fantasy'), which in a nutshell is: "Science Fiction holds a mirror to reality; Fantasy holds a mirror to dreams." A useful definition from TV Tropes of the difference between the two genres is that Science Fiction is about the social consequences of improbable events or technologies, whereas Fantasy is just about telling a good story. Space Opera (think Star Wars, Guardians of the Galaxy, etc) tends to blur the lines; 'New' Space Opera nevertheless prefers to at least try and explain the science bit rather than just dismiss it as 'future stuff that works like magic'. For me the story always comes first. If you come away knowing how artificial gravity in a rotating space station works, even better. 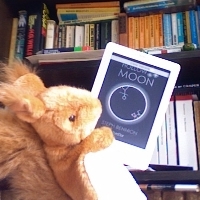 For those thinking of buying or downloading books as a gift for younger readers, the Worlds Of Hollow Moon science-fiction novels and associated short stories are aimed at young adults (and adults young at heart! ), with a reading age of 12+. There is no sexual content or profane language! For further information and links to all publications, please see the Books page.